Nouska | Cross Creek Farms Inc. In 2015 we added two more Clintord babies to the collection we have growing up here on the farm. 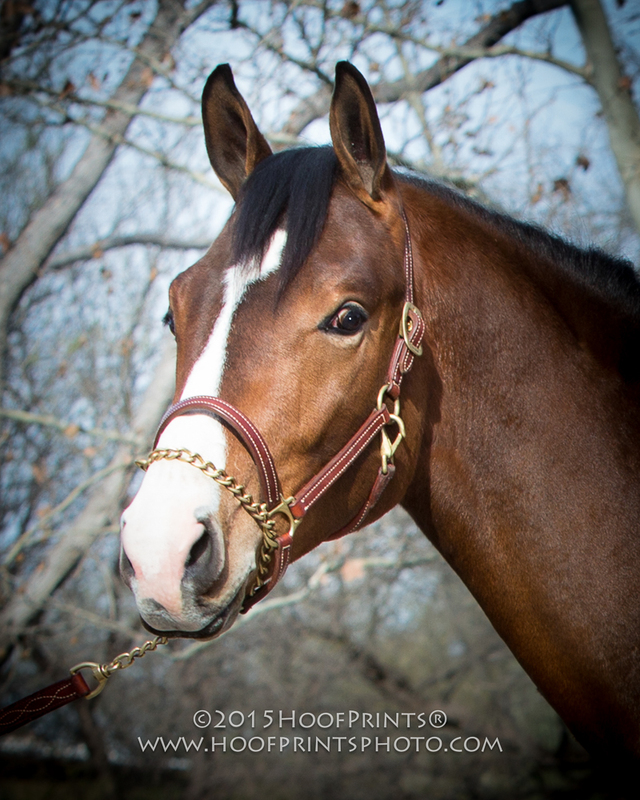 While their coats were still slick and shiny we had a portrait session with equine photographer Patty Hosmer of HoofPrints Photography. Now fall is coming on and these beautiful youngsters will morph into the fuzzy awkward ugly duckling stage. So I thought I’d share their portraits to remember them by until they turn into swans again. 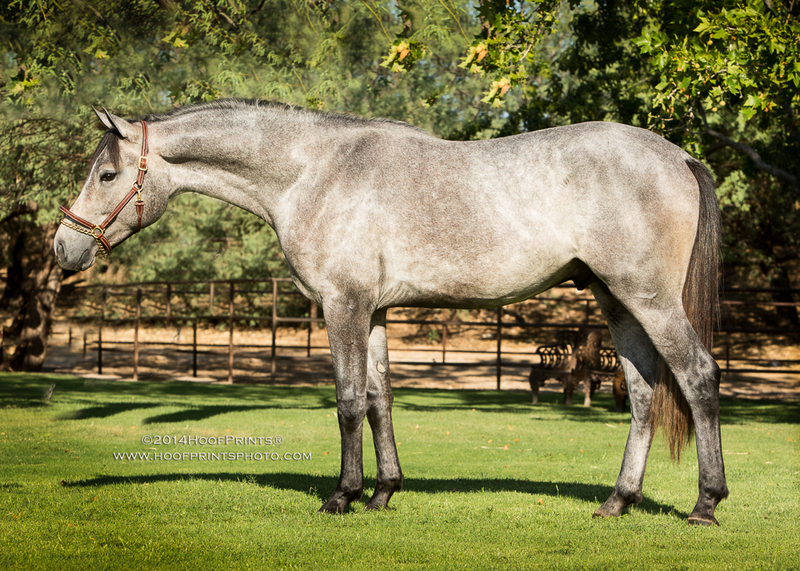 Both moms, our Dutch Keur mare Nouska (Julio Mariner x Voltaire) and our Zangersheide mare Aida HZ (Andiamo x Karthago) are confirmed in foal to Clintord for 2016, as are several more outside mares from California to New Jersey. Something else to look forward to come spring! Clintord’s oldest USA born son Credence, a 3-year-old, is just starting under saddle. He showed impressive form when lunged over a makeshift jump when Michelle and Alex came home for a brief visit and played with the youngsters. 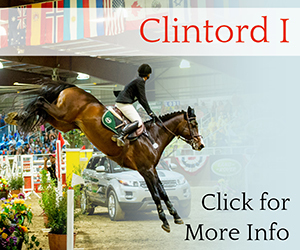 It will be so exciting in another year or so when we finally will have some Clintords prepping for the show ring. Another fun discovery is that Clintord is siring all sorts of colors. Of course there is every shade of brown from seal brown to blood bay mimicking dad’s coloring, but he has also sired greys, a paint, and this year we have a coal black colt and a dark liver chestnut. Most have a generous amount of white for extra chrome. But best of all, they are tall, elegant, athletic and correct. 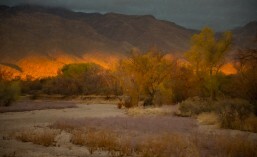 Spring has arrived in Tucson! The trees are leafing out, the wildflowers are blooming, the temperatures are balmy (at least in the daytime), unlike the poor East Coast getting clobbered by record-breaking winter storms. As a result, our babies are starting to shed out and I thought it might be a good time to share photos of some of our first Clintord offspring growing up here at Cross Creek Farms. 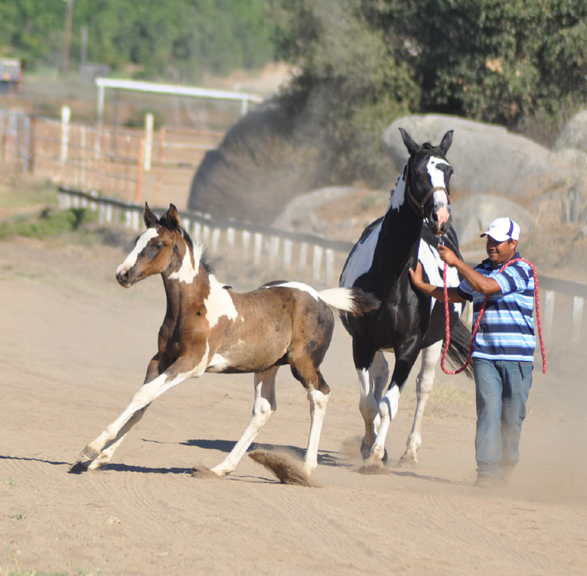 The oldest USA bred youngsters are just turning two. 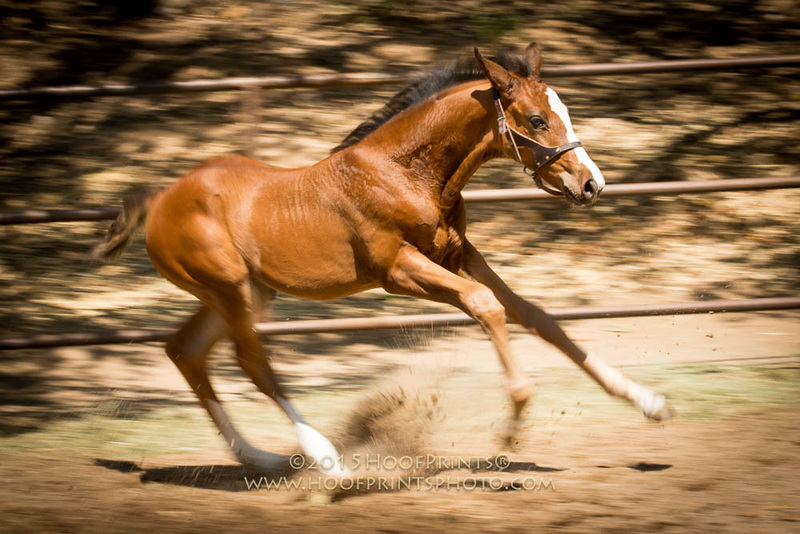 Disclaimer:-) It is really helpful to have a professional equine photographer, my sister Patty Hosmer of Hoofprints Photography, in the family! CCF Coral Sea is just turning two. His dam Nouska is a grand prix winner here in the U.S. with Michelle Parker riding. Nouska is registered Dutch, sired by Julio Mariner (thoroughbred) out of a Voltaire daughter. CCF Galactica II is a full sister to Coral Sea. She is still fuzzy, so this is a photo taken last fall when she was four months of age. 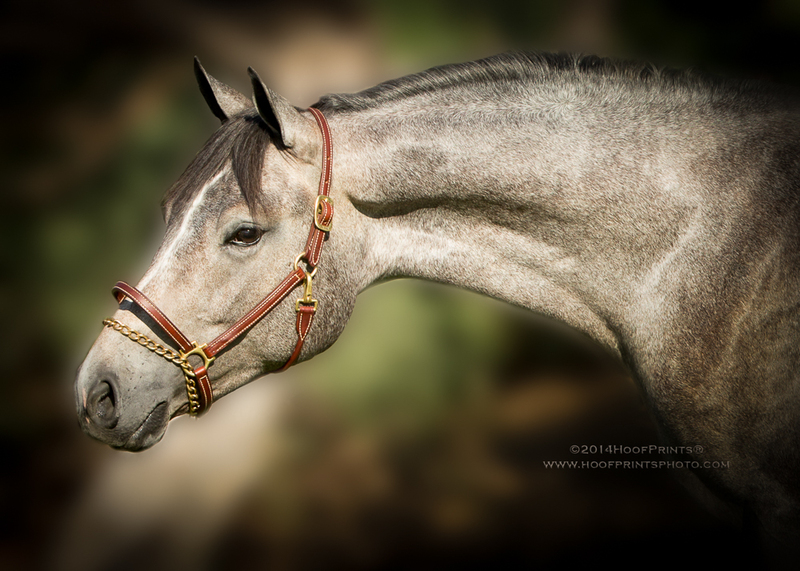 Nouska is in foal again to Clintord for a late April 2015 foal. 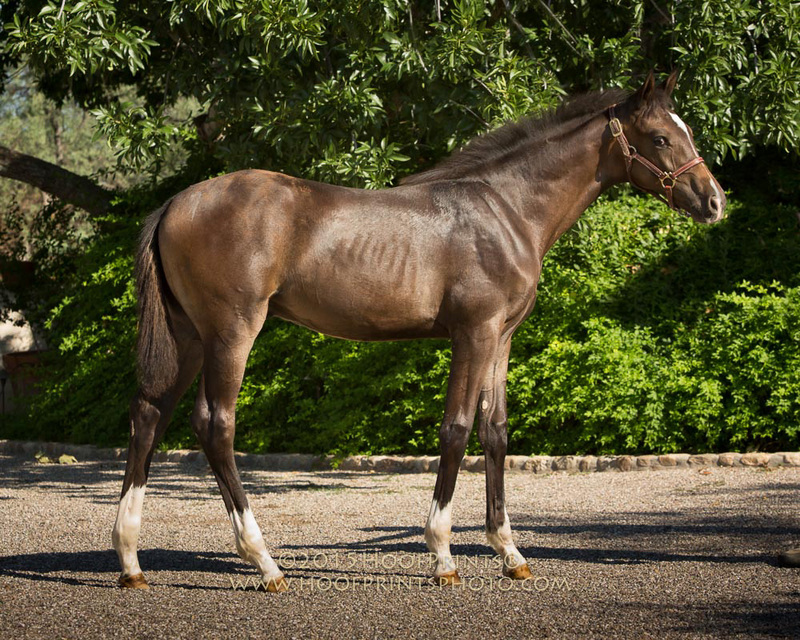 Credence is Clintord’s first USA born foal (there are lots in Europe). 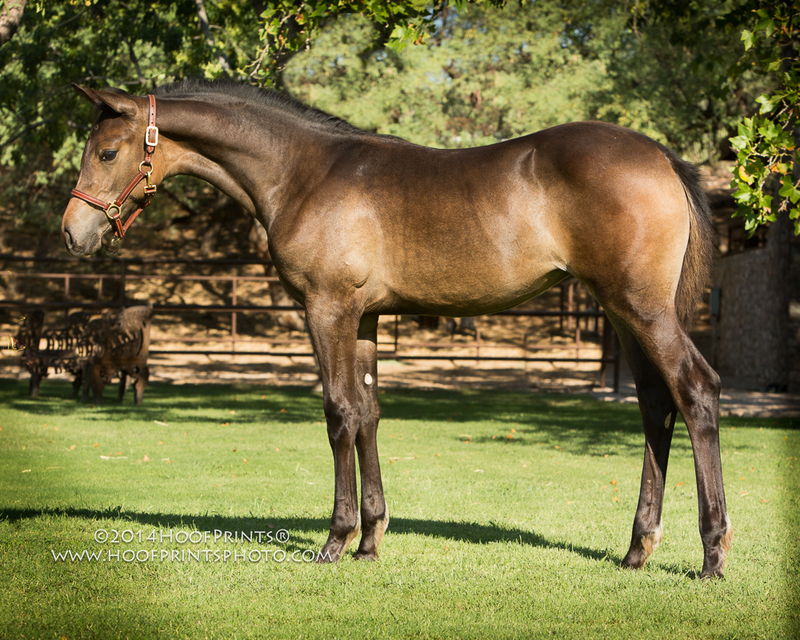 Co-owned by Michelle Parker and Cameron Stoddard, out of Cameron’s good jumper mare Bonnie, he is growing up here in Tucson. Photo taken last fall at 11 months of age. 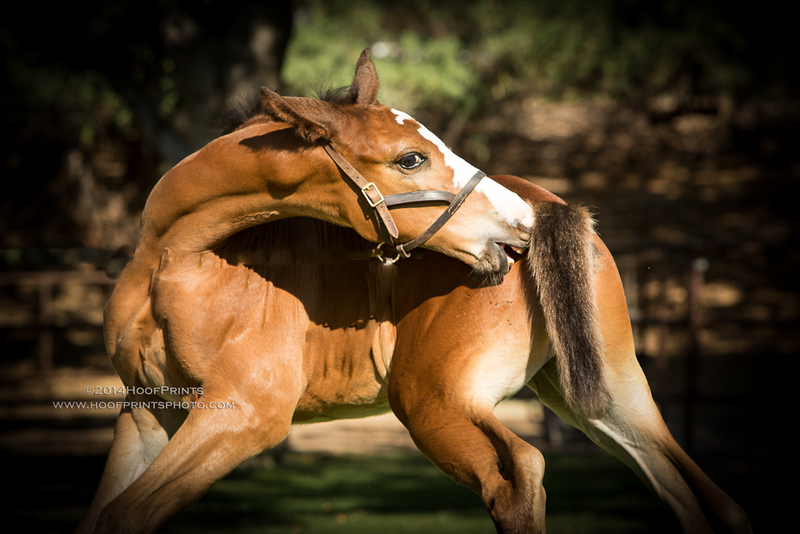 And our youngest, CCF Cloudbreak (Bolt), showing off his elasticity here at two months of age! CCF Cloudbreak. 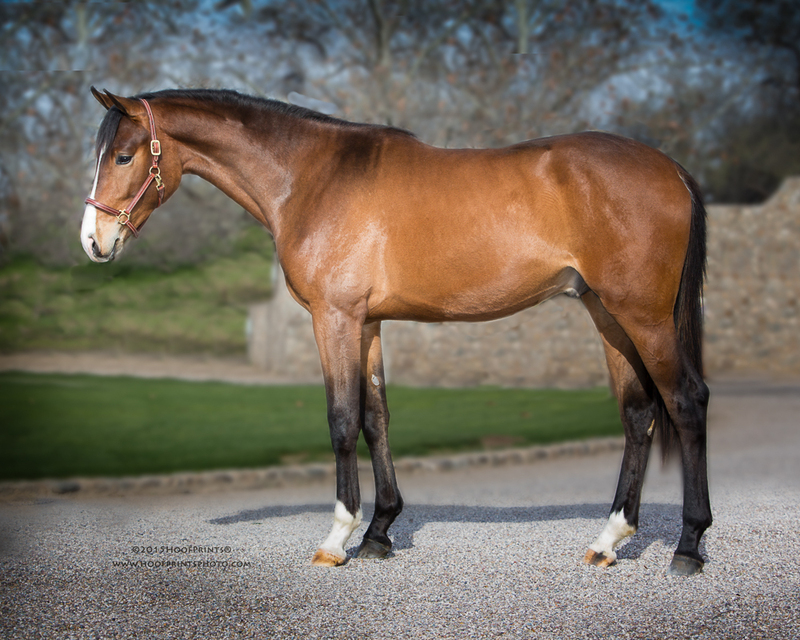 His dam is Aida Z H, by Andiamo Z out of a Karthago daughter. She, too, is expecting another Clintord baby this coming July. 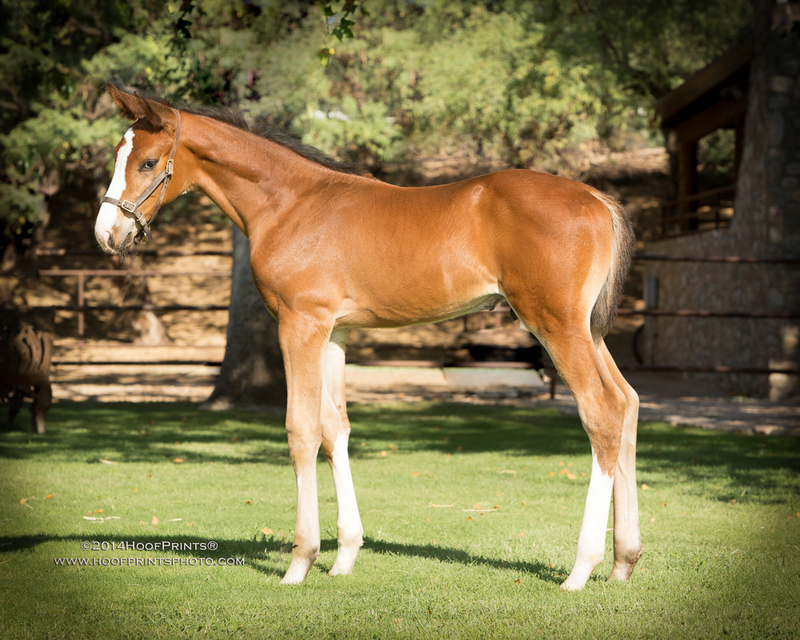 If you have a paint mare, you could have something like this Clintord son in California! Posted in Aida HZ, CCF Cloudbreak, CCF Coral Sea, CCF Galactica II, Clintord I, Credence, Holsteiner, Nouska, stallion.